"Ahrooooooo" went the cry. It was the call of the wolf pack. A young boy named Two Birds heard it, and so did his wolf. Two Birds had found the abandoned wolf pup, and they had grown up together. Now, the wild was calling, and Two Birds had a choice to make. Struggling with a mix of emotions, he must decide whether his love for the wolf is greater than his need to be near it. Will Two Birds learn to let go not just of the wolf, but also of his own fears? 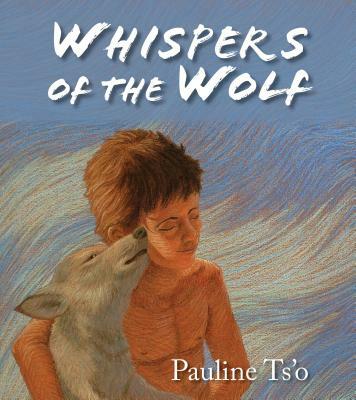 Whispers of the Wolf is a beautiful picture book set around 500 years ago among the Pueblo Indians of the desert Southwest. A heartwarming piece of historical fiction, it weaves together themes of community, tradition, self-esteem, and respect for all life, creating a realistic portrait of a culture that continues to exert a vibrant, living influence today. Pauline Ts o is an author, illustrator, screenwriter, photographer, and co-founder of Rhythm and Hues Studios, a computer animation and visual effects company that has won multiple Academy Awards (Life of Pi, Babe, and The Golden Compass Best Visual Effects). Pauline s production credits as a digital artist and lighting/art director include Harry Potter and the Sorcerer s Stone, Disney s theme park attraction It s Tough to be a Bug, and various commercials, including the first Coca-Cola Polar Bear spot. She lives in Los Angeles, CA, with her husband and two 11-year old twins."